Mr. Bachman has been Vice-President, Financial Operations and Investor relations since March 2018, joining Badger in June 2017. Prior thereto, Mr. Bachman was Vice-President, Investor Relations and Treasurer at Superior Plus Corp. Previous to this Mr. Bachman was with advisory firm KPMG. 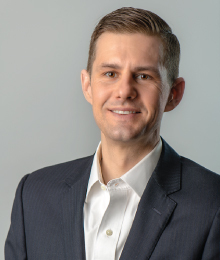 Mr. Bachman holds a Bachelor of Commerce and a Master of Professional Accounting from the University of Saskatchewan in addition to a Chartered Professional Accounting (CPA) designation.